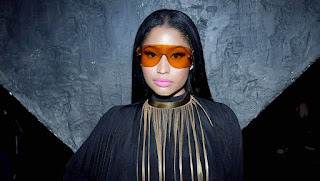 Rapper Nicki Minaj Has Signed To An Modeling Agency !! BHR Hollywood Reports.....The “Pills N Potions” singer has signed on as Wilhelmina International, Inc.’s newest addition to their celebrity division as a model. The rapper joins the agency after making history for the most Billboard Hot 100 hits of any female artist in chart history. Minaj, 34, tells reports she is up for the challenge of balancing her work as a singer, songwriter, actress and, now, model. “I love the synergy between my music and how it inspires my fashion,” she said. In an official release by Wilhelmina CEO, Bill Wackermann, obtained by media sources , he says Minaj is a driving force in the world of fashion.